One of the few specialist degrees of its kind, this course trains you in the traditions of printmaking as well as related contemporary processes – from drawing and collage to photography, artists’ books and digital technologies. The Fine Art Printmaking course stimulates creative exploration, imagination and intellectual inquiry leading to exciting, innovative practice. Visits to galleries and volunteer work will improve your understanding of professional practice, as will opportunities to exhibit your work. Links with local arts communities provide opportunities for creative engagement in schools, galleries or studios. We also have international links with the University of Nagoya, Japan, which runs an exchange programme available by competitive application. Located in the heart of Brighton's creative community, the course benefits from one of the UK’s best-equipped printmaking workshops, with facilities for etching, screen print, lithography, relief and digital print. You will create art in one of the best-equipped studio workshops in the country, with facilities ranging from etching, screen-print, lithography and relief to forms of digital production. You will study in the heart of Brighton, developing your practice in this vibrant, artistic city with its lively cultural and social scene. The Fine Art Printmaking course stimulates creative exploration, imagination and intellectual inquiry, leading to exciting, boundary-pushing practice. You will work daily in your studio space at the university, receiving regular contact with expert staff through tutorials, lectures, seminars and workshops. Highly experienced specialist technicians manage the comprehensive workshop facilities and are on hand to advise you. We enhance your future prospects through work placements in local studios, galleries and schools and contact with professional networks. Visits to galleries and volunteer work will improve your understanding of professional practice, as will opportunities to exhibit your work at exhibitions, in the College and in spaces around Brighton and the south coast. As well as becoming expert in printmaking, you’ll develop transferable employment skills in communication, presentation, team working, self-motivation and critical thinking. We have strong links with local arts communities and there are opportunities to be involved with these. We also have international links with the University of Nagoya, Japan which runs an exchange programme available by competitive application. 2018 graduate Rachel Sankey talks about her experiences of studying printmaking at Brighton. You will receive technical inductions into all the main processes of printmaking, as well as being supported to develop research into the particular interests and concerns that motivate you individually. You will also collaboratively plan a group exhibition and take part in a print edition project. This module orientates you to the main elements of studio practice. Research informed teaching introduces you to various methods of contextual and critical exploration that will underpin the development of your practice, informing the development of professional skills. Seminars and tutorials will give you the opportunity to discuss your interests with each other, helping to generate and develop creative ideas. 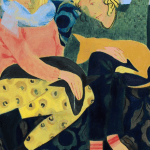 This module provides you with the opportunity to match your imaginative and intellectual concerns against the constraints and potentials of editioned printmaking, a skill set that contributes to professional employability. This experience will lead to the planning and presentation of a year group exhibition. By demonstrating an increasingly fluent, critically informed understanding of your visual research, you will develop a convincingly progressive printmaking practice. 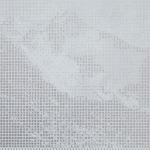 This module provides technical demonstration and direct workshop engagement with the main processes of etching, lithography, screenprint, relief and digital printmaking processes. You will also compare and contrast the potential of the processes to which you are introduced. Your second year offers a more outward-facing experience. The year 2 Fine Art Exhibition, held in and around the university gallery, gives you the opportunity to exhibit your work with your peers from other disciplines. A placements module provides connectivity between studio/workshop activity and a professional working environment. Here the exploration of creative possibilities intensifies as you consolidate your interests in order to plan a resolved body of work for the Graduate Show. This is an exciting time when the insights and experience gained throughout the course come together to present undergraduate practice at its most inventive, thought-provoking and professional. Printmaking students have spacious workshops and studio spaces on the top floor of our Grand Parade building, benefitting from lots of natural light. You will have your own desk workspace and access to equipment for intaglio, relief, lithography and screenprinting. We also have a photographic darkroom, a studio and camera loan facilities. Our expert technicians will help you to make the best use of our equipment. You can use any of the university libraries, but St Peter's Library close by is a specialist art and design resource. Your costs will depend on the scale and requirements of your work. Materials for inductions and specific classes are provided for free and you are entitled to discounts on computer hardware and software. However, you will need to provide your own paper and drawing materials including a craft knife, pencils and brushes. Timo Lehtonen is a winner of the Printmaking Today Award and the St Cuthbert’s Paper Mill Prize. He uses drawing and relief print to explore ideas around trans-cultural experience and the way that identity shapes and is shaped by creativity. Other staff include tutors Jane Fox and Johanna Love and technicians Chris Hunt, Ray Dennis, Scarlett Tierney and Wayne Case. Placements occur at three local schools – PACA (Portslade Aldridge Community Academy), Patcham and Varndean as well as Inkspot Press and ONCA (One Network for Conservation and the Arts) and Workshops for the Imagination. Placements occur in Year 2, semester 2. Yes, students may choose placement venues. Placements take place over 10 hours. Yes, placement does count towards your degree. No but students can claim travel expenses to and from their placement venue. We have several schools placements (see Overview) as well as others at a professional open-access printmaking workshop, an environmental arts charity and a creative workshop for children. The university has a fantastic, creative atmosphere and the printmaking department has a great community feel. I love the small class sizes and the tutors are so supportive and approachable. The career prospects of fine art graduates are rich and diverse. You will leave the course equipped with skills that are both useful and desirable, not just to art practice, but in many other forms of employment. Brighton's Fine Art programme has an excellent record of postgraduate placement and international prize-winning success. Among our graduates we have a growing list of prizewinners who have scooped prestigious awards including the Turner prize, John Moores Painting prize and prizes from the National Portrait Gallery and the Boundary Gallery. Interviews are informal, normally you'll be talking with two members of the course team and a student representative. You should be prepared to discuss your portfolio with staff for 20–30 minutes. Students based overseas can arrange a phone or Skype interview and submit an online portfolio. a fascination with images from archives, with printed ephemera, or with images culled from the internet. Follow the printmaking students on Instagram. 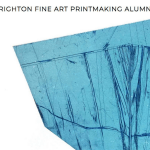 If you are unable to attend on the advertised dates, you can arrange a visit by contacting the printmaking administrator, Julia Balme: j.d.balme@brighton.ac.uk. 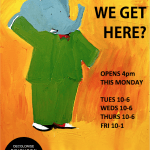 During your visit you will be able to have a tour of the printmaking studios and look around the wider City campus.